This time of year, chili is a delight for several reasons. 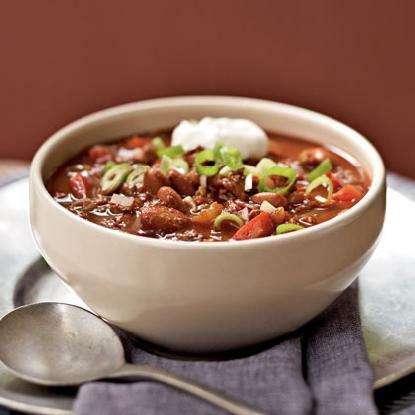 While much of the country deals with cold and ice, chili can be a warm way to get through the day. While much of Nascar Nation deals with the chill of an off-season, the Chili Bowl Midget race is a reminder of more eventful weekends ahead. Here’s a breakdown of Nascar winners and losers from the weekend. Kyle Larson raced in the Chili Bowl and finished seventh. More importantly, Kyle Larson spun out twice, didn’t get sideswiped and walked away from the race just fine. Larson is one of racings brightest young stars and the ticket to get Chip Ganassi Racing back in the Chase. There might not be a driver more important to his team than Larson is to Ganassi. The fact Larson has a chance to race in the Chili Bowl is a win. The fact he walked away is a bigger win. 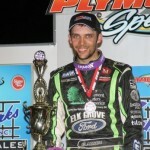 Stewart didn’t run the Chili Bowl, though he drove a tractor around during the week. Stewart also told USA Today he had a fourth surgery on his leg, with one more due after the 2015 Sprint Cup season. Stewart says he feels better and plans to run a full season, but I never imagined that 2013 accident would have more than two full years of consequences. It’s a testament to Stewart’s toughness to go through all of these surgeries and still compete. Stewart’s comeback, or lack of one, in 2015 will be a major storyline worth watching. On one hand, Nascar allows drivers to to more outside the sport than almost any other major sport. Other than Stewart’s recent injury, they have been fortunate Sprint Cup drivers haven’t gotten injured in their hobbies. On the other hand, the most exciting news coming out of the offseason this week is tire testing at Las Vegas, the first such test since new rules prohibited private track testing. While the new testing will certainly save teams money, there are varying opinions on what it might do for competitive balance. Time will tell, and that time is getting shorter and shorter with Daytona now less than five weeks away. Enjoy whatever kind of chili you enjoy, and insert a random catchphrase here.